I love my fruit box! "I've really enjoyed every fruit that's come through so far. The mandarins are really interesting, I'm not sure they're my favourite but I can't stop eating them! Why!" "Very good. Great taste "
"The fruit packages I received were excellent can't wait for my next box of goodies." "Nice idea and good quality "
"I love it! The concept, the food, the personal communication! I can't say enough good things about the company and the product. I've been recommending to anyone and everyone that will listen"
"Well worth the money spent. Livens up my morning oatmeal." "My 10 year old daughter had been begging us to buy her some freeze dried strawberries, and simply adored these once they arrived!" "This tastes exactly like fresh fruit, only more concentrated. It’s really helping with the winter blues!" "Pretty happy with the whole process. Little pricey but great quality and concept." "Love my Rotten Fruit Box..I ordered the blueberries, blackberries, raspberries and strawberries..my absolute fave are the raspberries as they fill my sour candy craving. I am currently waiting on my new box. Super excited to try the new fruits I ordered in it along with my fave raspberry. " "Very very tasty. Extremely easy to consume every item in one sitting." "Delicious, healthy and versatile snack. I love putting the dried fruit in oatmeal, smoothies, cocktails, and desserts...if I can stop myself from eating it all in one sitting! Great customer service. I know they are delayed sometimes due to demand but I think they handle it well by being transparent about what’s going on and sometimes offering free extras. Totally worth the wait every time!" 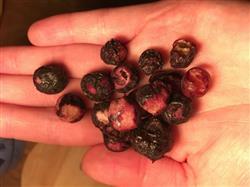 "I love the idea, and the freeze-dried fruits come in (to me) unusual choices. They make great snacks." "I enjoyed the fruit especially the dried strawberries and peaches. " "All of the fruits have been really tasty. I want a lifetime subscription. The peaches, blueberries and figs have been my favorite thus far. :) "
Amazing fruits, save the planet! "I love the consept and what it stands for. I also love the friuts. The pictures from the farmers was quite cute. Its nice for people to see who put in hard work"
"Absolutely love them! My favourite are the figs. My guinea pigs and hamster also get a few treats! " "Always looking forward to it every month"
"So delicious! It’s hard not to eat an entire bag in one sitting. " So great! Love the concept too. "We are so wasteful as a society. This is a great company taking steps to reduce food waste! And they taste amazing. Right to my door so I don’t need to load my kids up and find freeze dried fruit around the city. Love. Thanks!" "My first one was assorted 12 pack-which I finished all on the same day... My second box was personalized 12 pack consisting of peaches, bananas, and strawberries. My amazing box came enclosed with an awesome handwritten personalized letter and picture from the guys and the farm! This was beyond appreciated and solidified the fact that I will be ordering a box every single month of my life as long as it is available!!! The absoloute best (ultra healthy) food box one could ask for!!!!!!!! I HIGHLY recommend it to everybody!!!! " "The perfect snack or breakfast topper"
Glad to have received our first box! "I really enjoy the fruits - my children and grandchildren do too. I have two questions though - how do I change the current fruits in my box? Can I switch my plan to the seasonal?" "Great snacks! The fruit are handy snacks and taste wonderful. The variety of flavours ensures that you are always surprised by the next box." "So far every single one we tried is delicious. My picky kids love them too! Customer service is amazing as well. Thank you we are big fans now!" "I was very impressed with the dried fruit snacks and service. The berries have an intense explode in your mouth flavour and the figs are especially tasty. " "I really enjoy this service. Every shipment is like Christmas - I don't know what I'll get, and each thing has been great so far. I was surprised by the sour cherries - I expected to not like them, but they're one of my new favorites!" Love all of the fruit! "So far I have enjoyed the peaches, figs, cherries and Kiwi. They were all amazing! 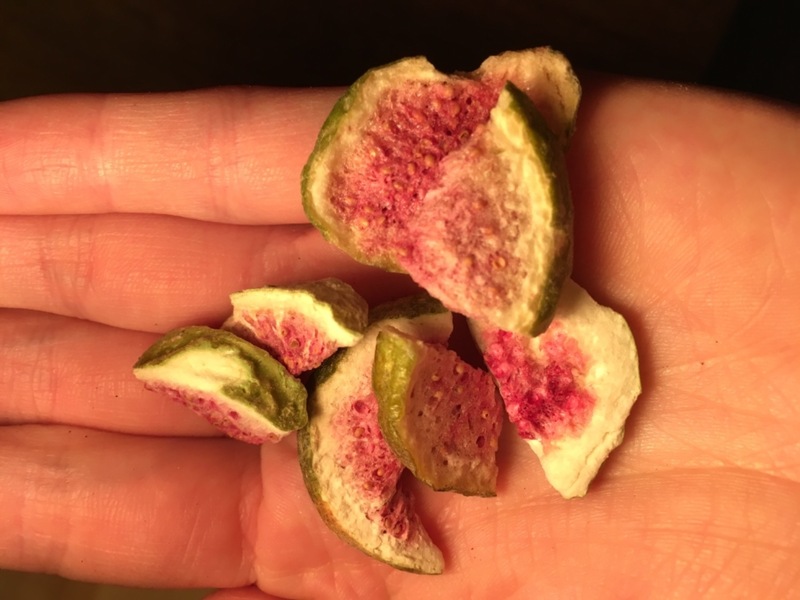 I love snacking on dehydrated fruit and love that this company works to minimize food waste!" "I love getting my fruit box every month! Love that it’s helping making less waste, the fruit it fantastic and the customer service you get is fantastic whenever there may be issues."